Finding the best pre-workouts for yourself and your workout routine can be difficult, there are so many on the market with high standards and expectations. That is why we have tried, tested and reviewed the top pre-workout brands in 2019. We want to help you maximise your performance and unleash your inner beast. Mr Hyde is a pre-workout that has gets a lot of attention in the fitness world. People swear by it, whereas some disagree. Most people love Mr Hyde and the results they get from using this pre-workout. For that reason, we have decided to put together this Mr Hyde NitroX review and give you our honest, unbiased thoughts – we tried the blue razz popsicle flavour. 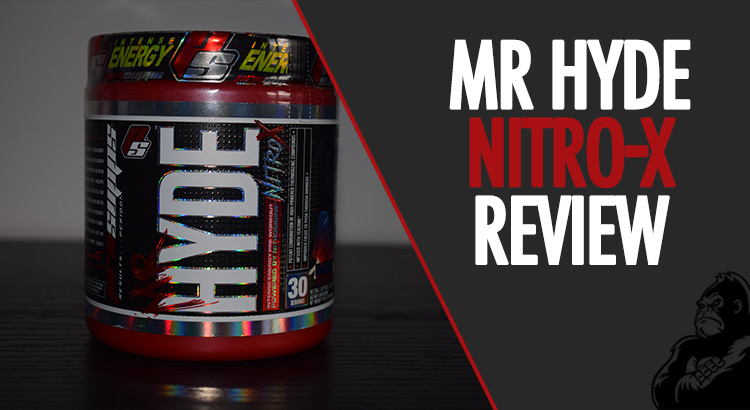 Mr Hyde NitroX claims to be the most effective and extreme pre-workout out there. We reveal ALL in this Mr Hyde Review. Packed with caffeine, beta-alanine and creatine (which are in most pre-workouts). Designed to support weight-training and push you to your limits. In this pre-workout review we’re going to cover all the bases including taste and mixability, energy and focus, overall effectiveness and include any side effects that may have occurred after several uses. When I see ‘we’, I mean myself and the two other reviewers who tested Mr Hyde too. Our reviewers are all mid-20s, two males, one female. Our reviews are our own honest opinion, we’re not on Mr Hyde’s payroll, so our reviews are honest and unbiased. If you’ve checked out our top 10 pre-workouts post you might see a slightly different score. That’s because this post is just our TubbyGorilla review, whereas the other post uses ratings from users all over the internet and a couple of external reviewers too. 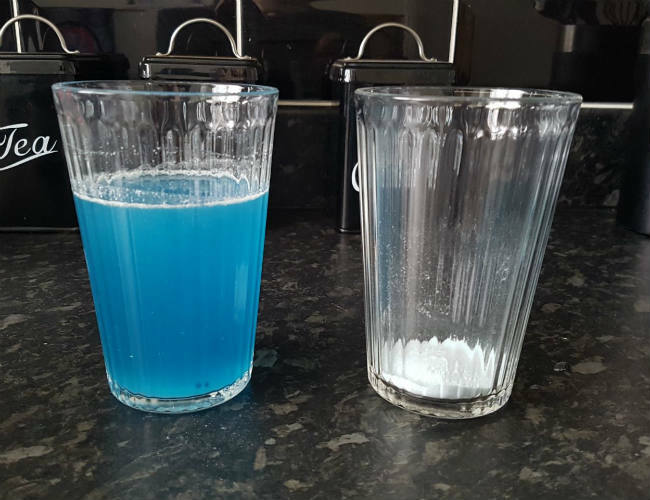 Let’s start with what you’re here to find out: does the Mr Hyde pre-workout actually work? In a word…yes. And it works very well. And right off the bat I’m going say I would definitely recommend the Mr Hyde NitroX to anyone looking to start using pre-workouts or those looking to use a new one. It’s easy to see why this is one of the most popular choices out there and is widely considered to be one of the best pre-workout powders. We all agreed that the Mr Hyde preworkout was beneficial and had a positive impact on our workouts. I felt like my energy levels were higher than normal, and as a result I had a higher work rate than usual, I achieved goals that I had previously set and I set some new personal bests to beat in the future. I didn’t feel like I crashed at all during or after the workout and it didn’t effect my sleep. “On this day I went to the gym at an earlier time and without eating solid food (had a protein shake beforehand with eggs and a banana thrown in). I felt I got stronger as the workout went along and felt more comfortable at the end than at the start” – Jordan, male reviewer, 5’9″, 158lbs. If I were to give the overall effectiveness a rating out of 10, I’d be scoring it high and would settle on 9 out of 10. Check the current price of Mr Hyde here. I noticed an energy boost kick in shortly after my warm-up, this is when I felt ready for that session. I became fully alert and focused on what I was doing. I was on a mission to lift heavier than before and so motivated to do so. During the session I did reach some new personal bests and I enjoyed my workout, which made me feel great. I felt like I had pushed myself throughout the session and was ready to reach my goals. My workout lasted a little longer than normal and I wasn’t as tired afterwards. I would definitely say that the Mr Hyde helped me with energy, increased my focus and also endurance. Personally speaking, I felt more focused and as I mentioned, I was able to push myself to set new personal bests, so the mental benefits of Mr Hyde Nitro-X were definitely there for me. As I mentioned right at the top of this review, we tested the Blue Razz Popsicle flavour, so if you get a different flavour I can’t guarantee you’ll have the same experiences of the taste and flavour as we have here. But as for my Hyde NitroX, I can honestly say it tasted alright, it wasn’t sickly or too sweet for me. It wasn’t the best tasting pre-workout I’ve had but it certainly wasn’t the worst. It was drinkable, that’s all that matters – being able to get it down you and get it working before your workout. After stirring continuously for a couple of minutes, I was still left with quite a lot of residue. A lot of it floated but it just wouldn’t mix. Nevertheless, I still drank it okay and the residue didn’t really have a big effect on the texture. I kept swivelling the glass around whilst drinking it which may have helped. Again, if I had to score out of 10, I’d give the taste a 6.5, but I’m not too bothered about the taste, more how it works for me. After taking the Mr Hyde NitroX pre-workout I started getting itchy palms. 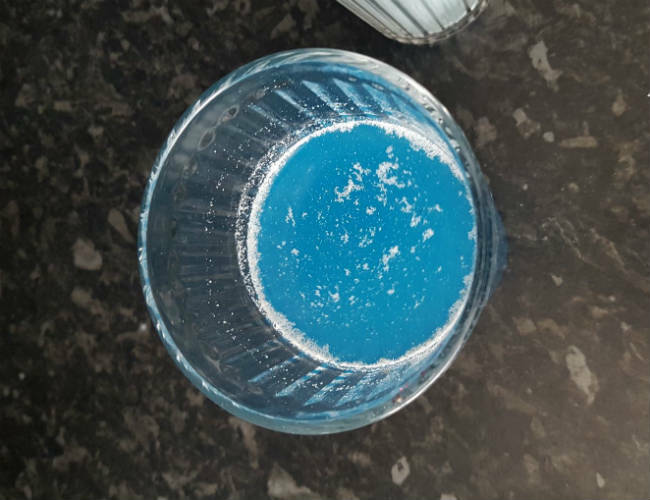 This seems to be pretty normal for me as I have experienced it with most pre-workouts, however all reviewers stated they felt a tingle or itch on the hands after taking the preworkout. This is a temporary side effect of the beta-alanine and wears off during the workout. “I found that during my workout my ears got quite itchy. This was slightly off putting but didn’t impact my workout. It wore off eventually” – Jasmin, female reviewer. 5’2″, 125lbs. One reviewer also stated that they experienced a slight tingle and some itchiness around the face, but again, this wore off quite quickly. Mr Hyde is definitely a pre-workout that will give you energy and alertness throughout your workout. We all agreed that we felt an energy boost and became focussed after taking the supplement. There seems to be a lot of hype around Mr Hyde, but personally, I see it as a good pre-workout. I wouldn’t say it was the best I’ve had but it was up there. I would definitely recommend it to people looking to give preworkouts a go.